+ MIMIC AN ENTIRE FLOCK OF DOVES: Foldable cross arms that hold up to 6 static decoys. + BRING IN MORE DOVES, END OF STORY: The easiest way to create a dove magnet in the field! 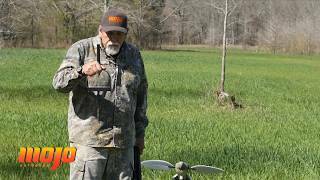 The EASIEST WAY to create a DOVE MAGNET in the field. 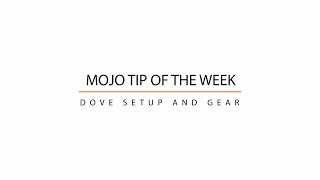 MOJO Tip 002 - Dove Hunt - What Field, Tactics and Do you Call?